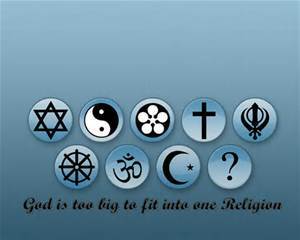 Global mega-religions, hard-selling the highest power to open-mouthed consumers. Massive Suns of God, pulling in by gravitation the lost sheep (or trapping at birth the never-lost), herding them together through wolves in shepherd’s clothing, crooks beckoning. Sinner-gogs and magogs flocking in fear of divine punishment. Safety in numbers (the Trinity, the One God, his Tetragrammaton four-letter name). Baby lambs bleating in orchestrated chorus, jew-venile and gentile sounds of paranoia, desperate for daddy, our Father, to tell them who’s been naughty, who is family, who is not, who is saved and who will rot. Mosque-itos, male parasites avid for victims, borne from the swamps of ignorance, superstition and misogyny, infecting with the fear of jihad, bloodily dispatching unbelievers to meet their Mecca. Sugar-coated tablets of stone, to help swallow camels yet strain at gnats. Honey-coated words disguising games of earthly power. Mouthing god’s love, yet feeding children horror stories to keep in thrall: paradise for followers, hell-fire for the rest. Holy fear, holy war and wholly in our power. Say mass. Mass services, mass-scale – an adolescent balance of cruelty, presuming to weigh all souls by some man’s cross-eyed blindness. Monotheistic, monolithic, no one comes to God except by Jesus. No God but our god and our man is his prophet. Papal edicts, shariah law, General Jehovah’s Ten Commands – the Jesus Army wheels about, his warrior monks’ crusade towards the End Times, when Eve-il will be chained to the kitchen sink for a thousand years and the Church Militant rules OK.
Armageddon, armour chain-mail, no God but a male God and Mohammed is his prophet, straining the blood of infidels through pure Muslim cloth. Arm-a-geddon tired of religious zealots: fearful little boys in men’s big bodies, desperate to crush the last living creature at the battle of the Allah-mo. Freedom-hating, little souls, frozen in a long queue of witch-burners; faces and buttocks clenched tight, grasping for control under some man’s delusion of God’s grandeur. Mafia foot-soldiers in the Capo di tutti capi’s cosmic protection racket. Noisy mad-men, deaf to the song of spirit. Clamouring children, frightened of growing up and into the Gods and Goddesses they must one day each become. Running from responsibility, dousing their inner spark of divinity whilst rushing outside to build God’s bonfire. The Star of David’s scorching rays burns out their eyes, thickening their skin with scar tissue, thickening their heads, searing apart their undivided self, fanning the embers of self-pity: Tammy Wynette singing under the lash of the Bible-belt, the Ayatollah’s A-sharp words whipping followers to a frenzy of fatwah, the Jewish scapegoat’s search for someone else to blame. Not me Guv’! Not me O Lord! Thou will is what the Rabbi tells us. Truth, love, wisdom and beauty … so far from all this. Just as the massive ticking clock of Judgement Day will never find time to see eternity in a grain of sand. No matter. Nothing real can be destroyed, nothing unreal exists; therein lies the peace of God-ess.